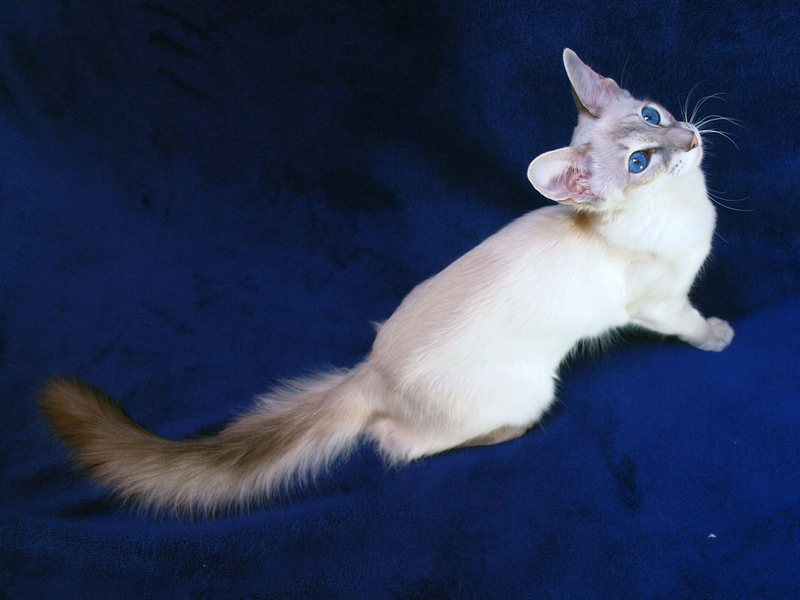 If you are on a lookout for a beautiful, sociable pet, the Balinese cat is definitely a good choice. These cat are very sociable - and talkative. So if you are looking for a cute couch potato, do not get a Balinese. They demand your full attention. 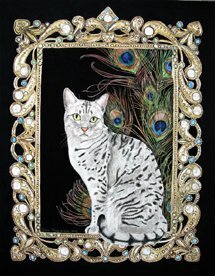 They are underfoot no matter where you go, but don't worry - you soon learn to mind your feet with a Balinese furry-roping itself around your ankles - the beautiful plume of a tail is of help here, as it will be touching your legs, letting you know your kitty is with you. The Balinese only waits for the moment when you sit down so it can hop on your lap. They observe and advice you in anything you do. They are absolutely fascinated by your human behavior, to such an extent you begin to wonder if they are secretly writing a study about you. You can also forget about owning your bed. Your Balinese will sleep on your bed with you, maybe even under your blanket, or on your pillow. The closer the better. If you read a newspaper, you Balinese most likely sits on the paper, reading the article with you, or better yet: sit on top of the article you'd like to read. After all the Balinese is of the opinion that surely it is more interesting than a piece of paper. This cat will be noticed, like it or not, so you better get used to its constant presence. This is one playful cat. If you don't provide it with toys, it will invent toys on its own. - meaning you'll be searching for your keys, watches, pens, and jewelry. It's just a question of being bored - if that happens to a Balinse, rearranging the knickknacks of the household is only logical. 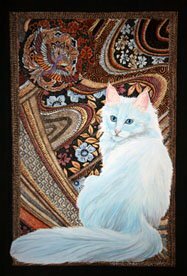 Also we are talking of a highly intelligent cat - it has been said the Balinese is the most intelligent of all long-haired breeds. The Balinese is good with tricks. Be it teaching tricks to its humans, or allowing to be taught tricks itself (such as fetching). It can learn to run the household for you, if you are not consistent with the rules. The Balinese is a great jumper - it can jump easily on top of your doors or fridge, straight from the floor. This ability, combined with its sociable nature, can mean that you'll enjoy the presence of a Balinese perching on your shoulder. What better place for a Balinese? Near you, at a high observation point, having a better look at everything you do. You may buy yourself some free time, if you get your Balinese a high perch/ scratch pole. You should also be aware that this is one chatty cat. It never tires to have real conversations with you. It has a lower voice than the Siamese, and they do not yowl. Still, there is a definite Siamese tune to the talk of the Balinese-. And if they feel like talking to you, they do just that, even if you try to avoid the conversation. If you don't help in creating a dialogue, the Balinese will keep up a monologue of its own. Of course the Balinese considers it to be polite if you answer to its greetings. 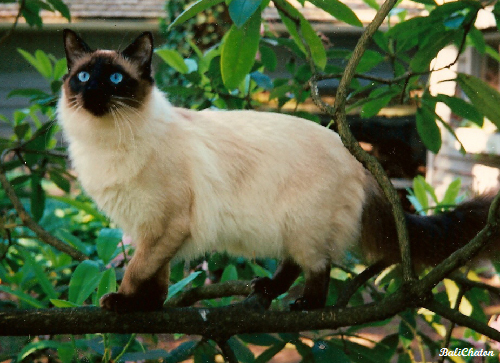 The Balinese cat is kind to strangers, if perhaps a bit aloof at first, while it measures the visitor. If they are mistreated, they will not trust the person again, and are not interested in building a relationship with them later. They do not usually show aggression by scratching, but like any cat, if they feel threatened, they may growl and hiss. But - this is not usual behavior to the friendly Balinese. Usually they withdraw from an unpleasant situation and hide instead of defending themselves. The character of a Balinese is sweet, and somewhat more laid-back than that of the Siamese. The Balinese tend to get on well with children as long as the children are taught not to mishandle the cat. This cat is so playful it enjoys playing with children. The male Balinese may be more affectionate than the female, but make no mistake - your female Balinese loves you just as much, even if she isn't hanging from your clothes when you walk around. The females are also more temperamental. And while you are in the process of getting a Balinese cat to grace your home, and you don't have a pet already, you might consider getting two. This way the cat would have company during the days. If you already have a pet in the house, the Balinese should get along well with other animals after a getting-to-know-one-another stage. The Balinese are known to like dogs and it is not an unusual sight to see a Balinese curling up to sleep with a dog - not minding the dog grooming the cat either. 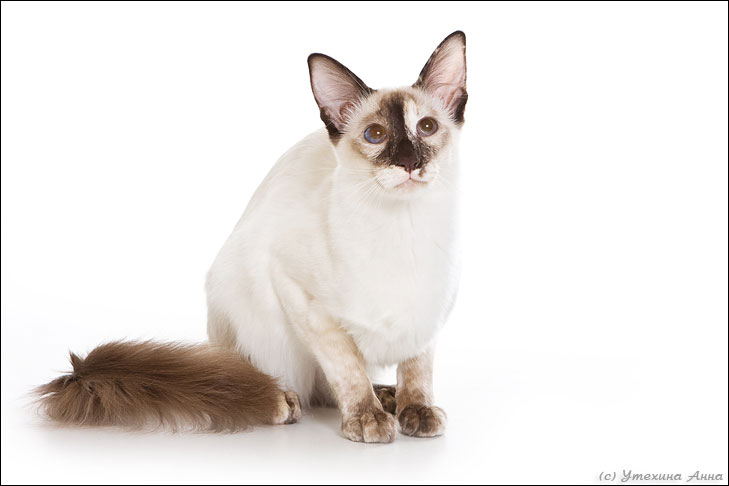 Like any cat the Balinese cat needs to scratch, but they can easily be trained to scratch a scratching post instead of your furniture. Declawing is never an option - it may sound like an easy solution, but do you know what declawing actually is? It means the tips of the toes are cut off completely. This changes the cat's balance and posture, and makes unable to function as a cat. It makes jumping more difficult and can cause depression in your cat, not to mention the physical problems the changes in posture bring. Declawing is cruel an unnecessary. 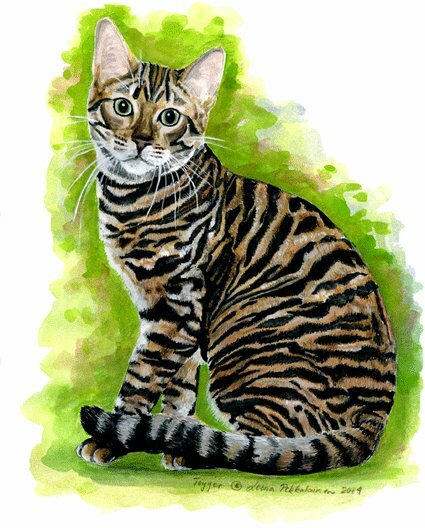 This breed seems to cause less allergy problems than many other cat breeds. The reason is that it has a very low amount of allergens in its saliva (no, the length of a cat's coat has nothing to do with allergens, it's all about the protein in a cat's saliva and skin glands). Still being hypoallergenic does not mean it cannot cause any allergic reactions. 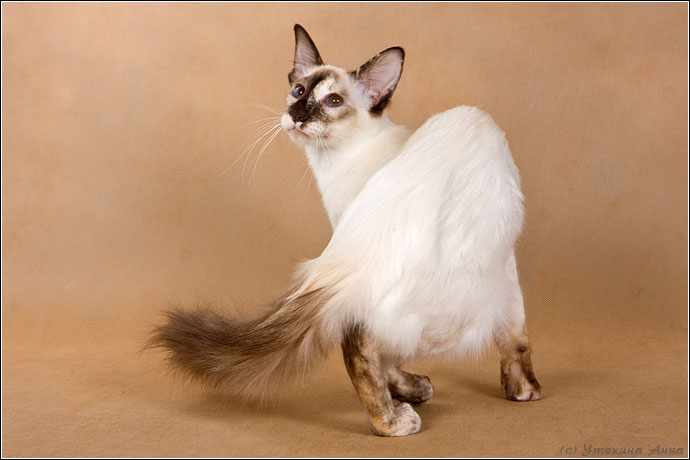 Also a Balinese are known for minimal shedding, much like the Siamese cat. This means you don't need to brush it every day - but it doesn't mean the cat wouldn't enjoy it if you did, as they love attention. You should keep your Balinese cat as an indoor cat only - and most likely the breeders will make it quite clear you can have the kitten only if you intend to have an indoor pet. If you let them out, they are prone to all sorts of accidents from catching a disease to predator animals - and predator humans. The Balinese are so kind and beautiful they are easily kidnapped by someone who wants to have a beautiful cat. You can of course take your cat out in a harness or have a cat-proof verandah or balcony built. Still, even then, let them out only when you are at home. 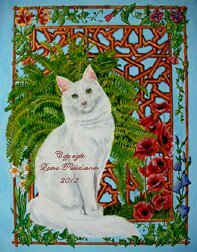 If you are considering having a Balinese cat as a pet, remember it may even reach the age of 20. You'll most likely have a very long-time family member, so plan ahead accordingly.